A new action/sci-fi thriller by Neill Blomkamp (District 9, Elysium) is due in theatres March 6, 2015. 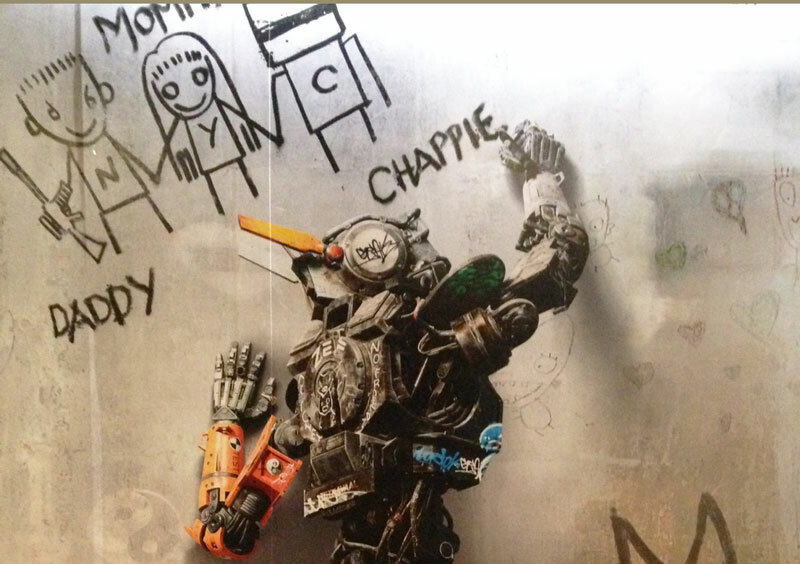 Starring Sharlto Copley, Hugh Jackman, Dev Patel, and Sigourney Weaver, Chappie follows an experimental humanoid as it learns to think and feel for itself, and explores the resulting awe and fear that comes from the humans that encounter it on its path to “the next step in evolution”. Watch the trailer. Ex Machina is due for release April 10, 2015.